I AM INVINCIBLE (AUS) (Bay 2004-Stud 2010). 5 wins-1 at 2, SAJC DC McKay S., Gr.3. Leading Aust. First Season Sire 2013-14. Sire of 140 rnrs, 96 wnrs, inc. SW Brazen Beau (VRC Coolmore Stud S., Gr.1), Look to the Stars, Vinnie Eagle - Massive Millennium (H.K. ), Super One, The Justice League, Bassillique, Fuld's Bet, Illustrious Lad, Leeds, SP Mine Two, Convincible, Silent Whisper, Tetsuko, Band on the Run, Hellbent, Miss Antaeus, Uratta Belle, etc. Itz Invincible (g. by I Am Invincible). Winner. See below. Lord Alistair. 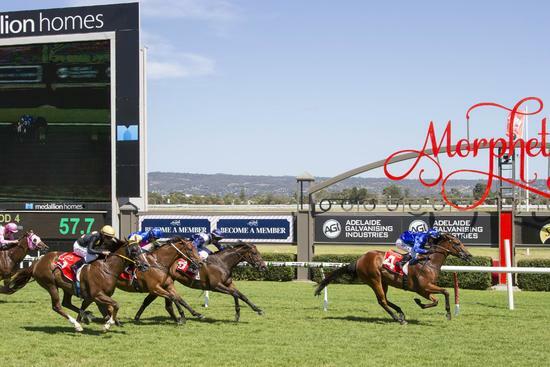 2 wins-1 at 2-at 800m, 1100m, STC MB Insurance 2YO H., 2d AJC Springfest H.
Grand Canal. Winner. See above. Rock Formation. Winner at 1200m in Aust. Snowstream Lass. Winner at 2, MRC Bel Esprit 2YO H. Producer. TEXAN (Stratum). 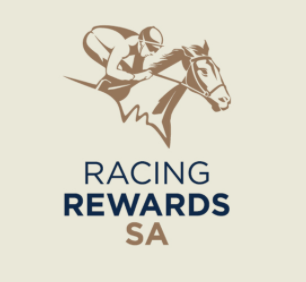 9 wins to 1400m, A$353,115, WATC Birthday S., L, Kalgoorlie Boulder RC Hannan's H., L, WATC Racing Radio 1206AM H., Twitter.com Perthracing H.-twice, Amelia Park Estate H., Steve's 50th Celebration H., Best in the West H., 2d WATC RS Crawford S., L, Facebook.com Perthracing H., Kevin O'Connor H., 3d WATC Perthracing.com.au H.
Sir Chuckle (Geiger Counter). 8 wins-1 at 2-at 1100m, 1200m, A$359,150, VRC New Year H., Kokoda Track H., Cromwell Sprint H., Geoffrey Levett H., MRC Carlton Draught H., VATC Broadbridge H., Coal Pak H., 2d VRC Straight Six H., L, MRC Zeditave S., L, Christmas H., L, Modern Group Welter H., VATC Tralee H., 3d MRC Rubiton S., Gr.3, WJ Adams S., L, SAJC Spring Carnival at Morphettville H., 4th VRC Bob Hoysted H., L.
Prince Goldheart. 5 wins at 1200m, 1400m in Malaysia and Singapore, Perak TC Class 1 H., 2d Selangor TC Astro Wah Lai Toi Vase, Singapore TC Initiation P.
Tonic. 4 wins-1 at 2-to 1400m, A$161,701, MRC Glasshouse Cafe H., Denise's Joy H., Love a Show 2YO P., William Pearson H., 2d VRC AJS Corporation H., MRC Dark Purple H., 3d MVRC Dr Sheahan P.H., 4th MRC Quezette S., L.
KELTRICE (Kenmare). 5 wins-3 at 2-at 1000m, 1100m, A$483,440, VRC Lightning S., Gr.1, Mollison H., L, Criterion H., L, SAJC Penny Edition Flying H., 2d VRC Gadsden S., Gr.1, VATC Blue Diamond S., Gr.1, STC Todman Slipper Trial S., Gr.2, VATC Moondah P.H., L, 3d VRC Lightning S., Gr.1, Linlithgow S., Gr.2-twice, MVRC AJ Moir S., Gr.2-twice, STC Premiere S., Gr.3, VRC Myer Fashion S., L, 4th VATC Oakleigh P., Gr.1. Sire. Danzabelle (Danzatore). Winner. See above. Race Record: 3 Starts 1-2-0 A$39,650. Winner at 2 in 2014-15, 2d SAJC Moet & Chandon 2YO P., Employers Mutual H.